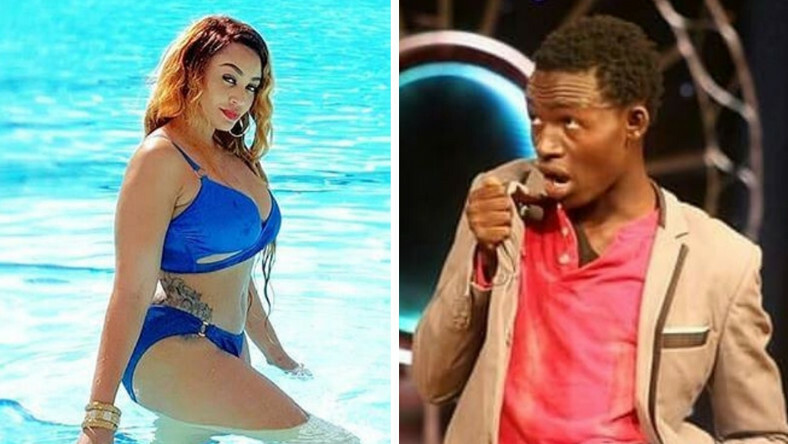 Popular Churchill show comedian and radio host MCA Tricky has sent a message to Zari Hassan, after she stepped out wearing a bikini. The comedian asked why Zari was wearing a kimono robe, on top of a bikini instead of letting her fans enjoy viewing her picture without limitations. “Lakini @zarithebosslady nikuulize tu na si kwa ubaya! Hii ya juu ni ya kazi gani kama ni raha tupe yote,” said the comedian. This was after the mother of five shared a picture of herself wearing a bikini beside a swimming pool. According to MCA Tricky, the robe was limiting him from enjoying the view of the boss lady. This comes a few days after Zari Hassan responded to people who criticized her for walking naked in front of her kids. In a video she shared, the mother of five said that if anyone expected her to wear anything less a swimming costume while at the pool, it was not going to happen. She went on to say that she was living her life exactly how she wanted to live it and if anyone felt offended by her actions, they should just block her and that way they will not get hurt by her posts. Zari Hassan added that no one paid her bills whenever she goes out for vacation with her kids and because of that, no one should have a say on how she should dress at any given time.